Find the freshest outdoor dining on The Magnificent Mile, Chicago Cultural Mile & Restaurant Row. 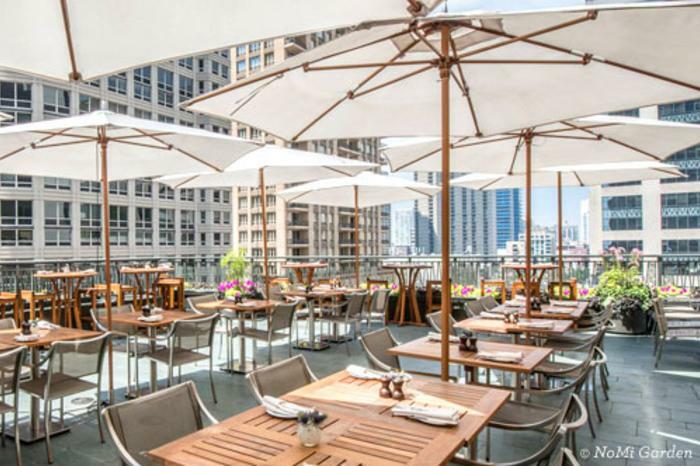 Nothing says summer in Chicago like enjoying a meal on an open-air patio or rooftop. For your fill of fresh air along with good eats, find the best outdoor dining in Chicago in these bustling restaurant districts: Randolph Street (aka Restaurant Row) and Michigan Avenue (home to The Magnificent Mile and Chicago Cultural Mile). In the West Loop neighborhood, Randolph Street is a vibrant stretch that boasts countless top-notch dining spots. The Green Line &apos;L&apos; train at Morgan will put you in the heart of the action, otherwise just direct yourself to the section from Halsted Street to Ogden Avenue. Bar Siena&apos;s buzzy atmosphere carries over to the wrap-around sidewalk patios, where you can nosh on casual Italian cuisine on either Randolph Street or the Green Street side. 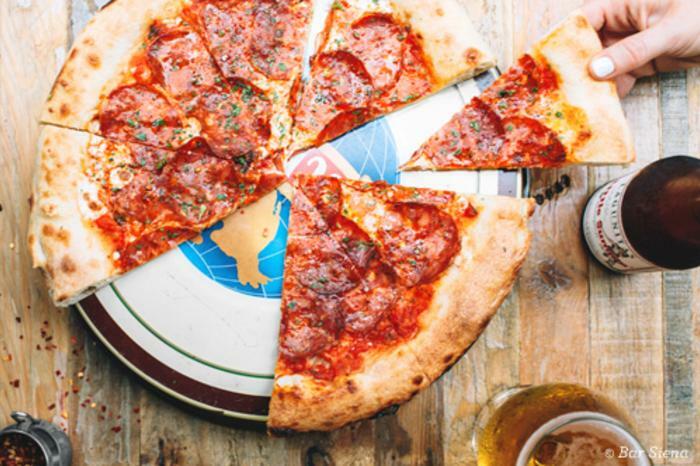 Aside from being a Viking-inspired beer and sausage hall, Kaiser Tiger offers its massive 200-seat beer garden as a place to play — complete with bocce ball courts. At Bar Takito, sample tacos, ceviche and other shared plates on the umbrella-dotted patio along Morgan Street. The ultimate downtown Chicago destination, North Michigan Avenue is known for its retail, hospitality and dining establishments. Perched on the seventh-floor rooftop of the Park Hyatt hotel, NoMI Garden is an urban retreat fit for weekend brunch, evening cocktails and everything in between. Shanghai Terrace offers a hidden-garden vibe, nestled among Mag Mile skyscrapers, with some of the best Chinese food in the city. On the other hand, choose Terrace 16 if you&apos;re looking to take in dramatic views of the surrounding cityscape and the Chicago River, while indulging in oysters on the half shell wagyu beef carpaccio and other decadent dishes. Follow Michigan Avenue south across the Chicago River and you&apos;ll find yourself in the Loop, the city&apos;s central business district. 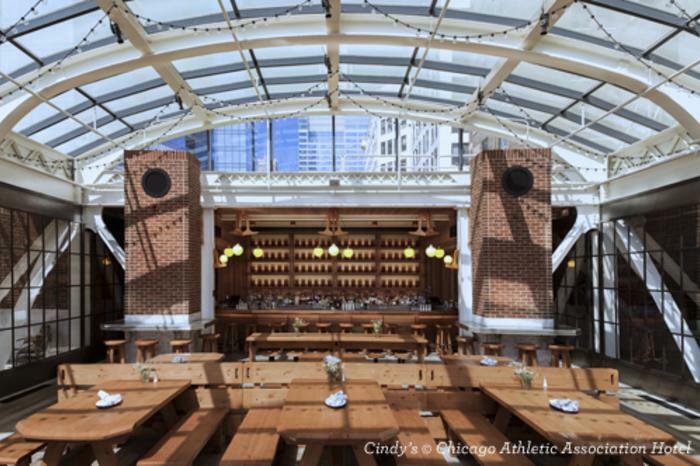 Cindy&apos;s is a rooftop restaurant and open-air terrace atop the Chicago Athletic Association Hotel, with panoramic views of Millennium Park, Lake Michigan that are beyond breathtaking. Stick to ground level at another downtown favorite nestled right within the park. Relish sunny views (complete with "The Bean" as your backdrop), year-round entertainment and elevated American fare at Park Grill.